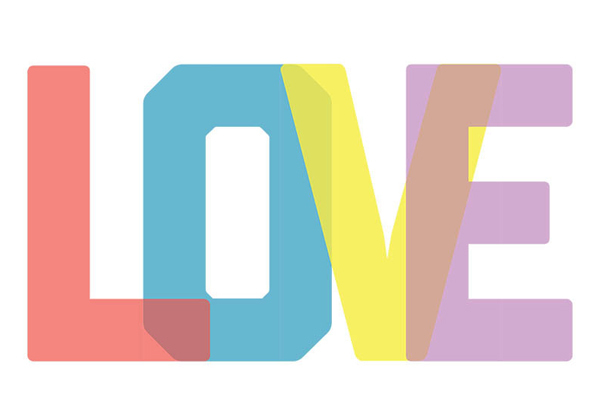 Happy Valentine's day!. 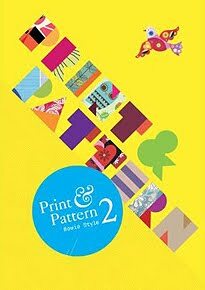 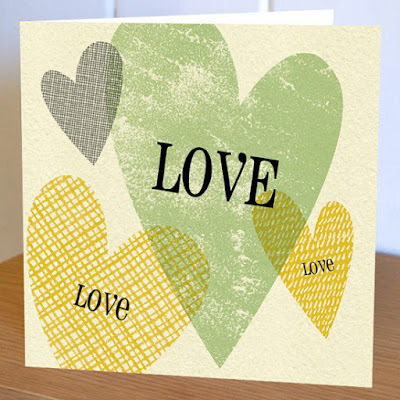 I thought I would pick out a selection of Valentine's designs on cards and art prints to celebrate this particular design genre. 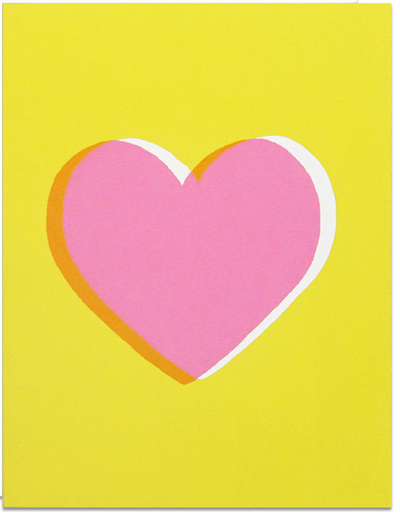 The bright heart above is by Sue Jean Ko and can be found online at Etsy. 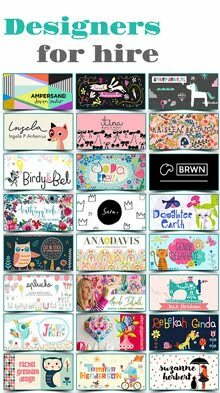 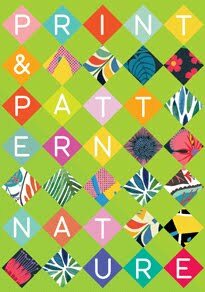 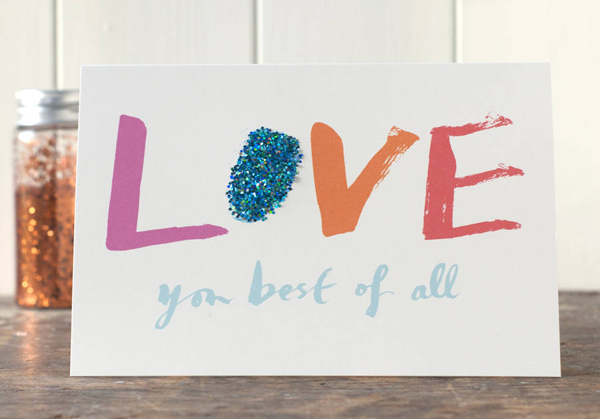 Below we have some really cheery fun painted typography by Moobaacluck at Not on the High Street. 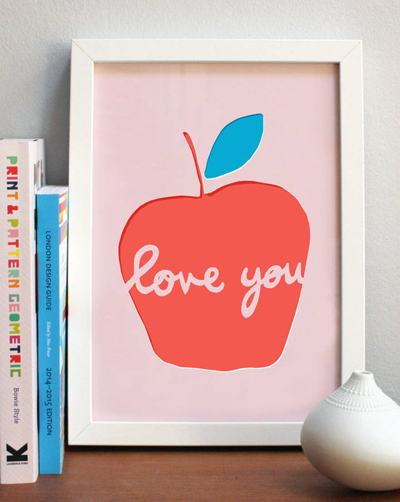 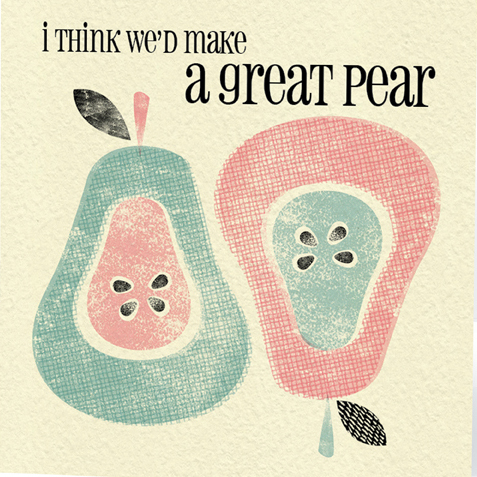 Below : A gorgeous floral card and cute apple print by Francesca Iannaccone also at Not on the high Street. 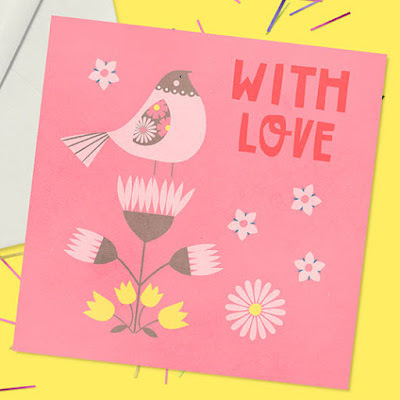 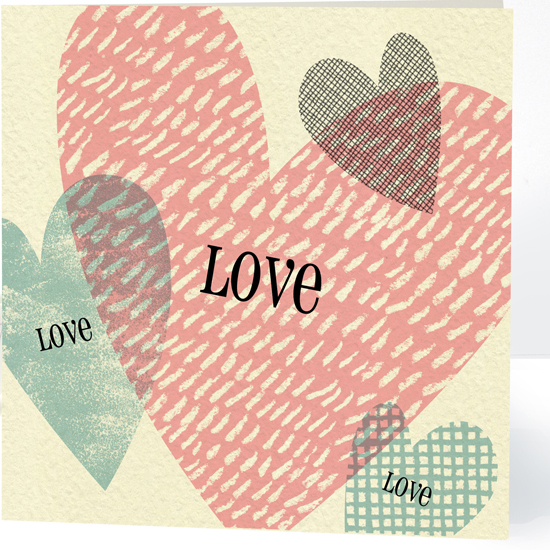 Below : Valentine bird card by Alice Rebecca Potter at Not on the High Street. 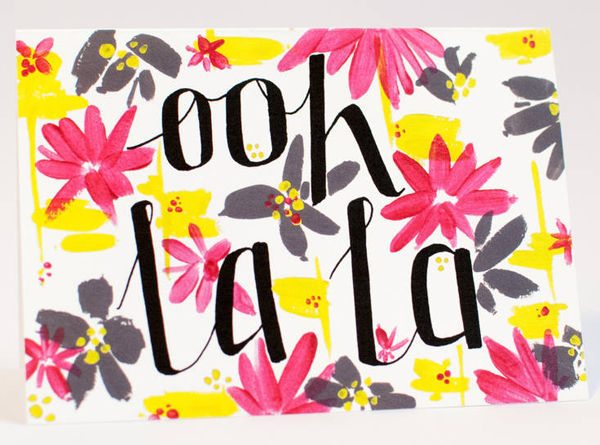 Below : Painterly flowers and brush script from Betty Etiquette. 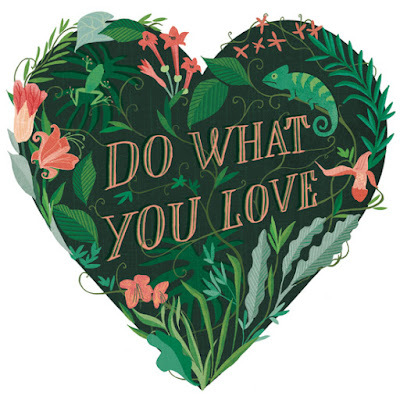 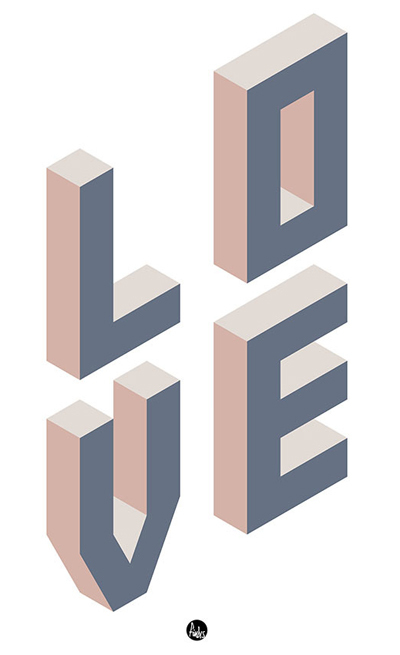 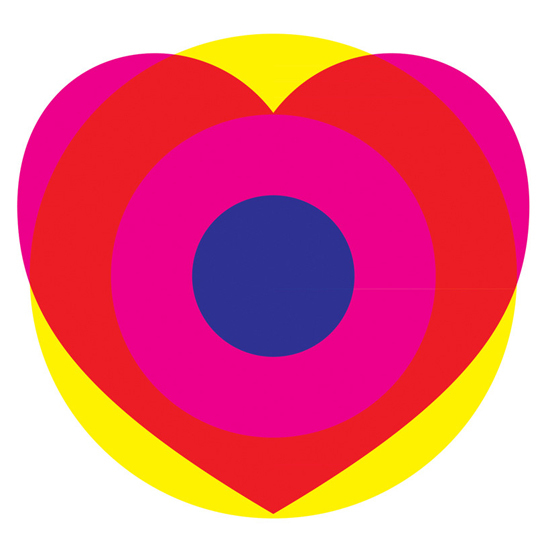 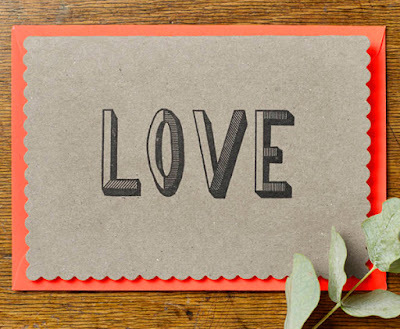 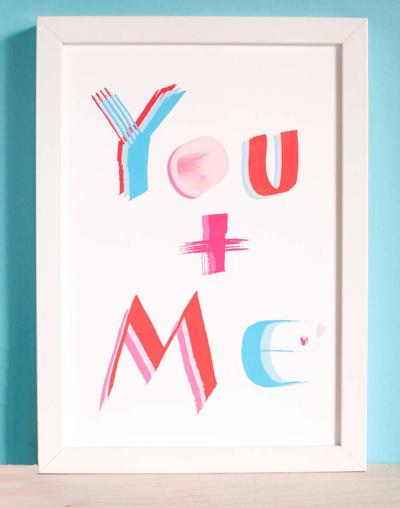 Below : Beautifully illustrated heart with type from Sara Mulvanny on Etsy. Not a card or an art print - but I just thought there was something very graphic about these knitted coasters from Hook 'n' Saw. 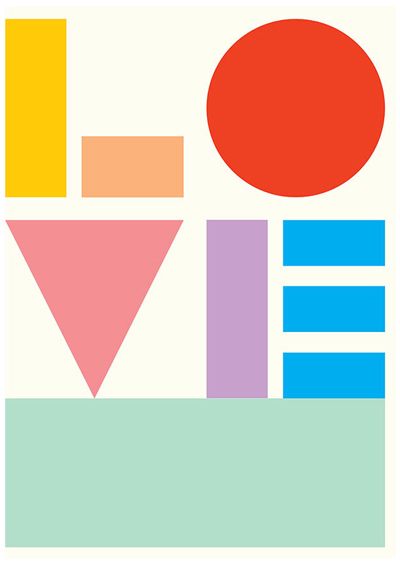 Below : Geometric heart from MT and BB on Etsy. 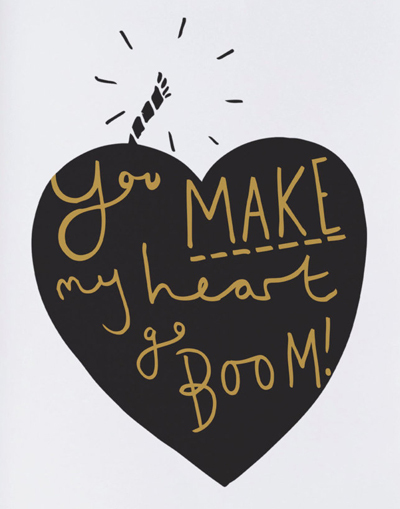 Below : Black and gold heart from the Old English Co. on Etsy. 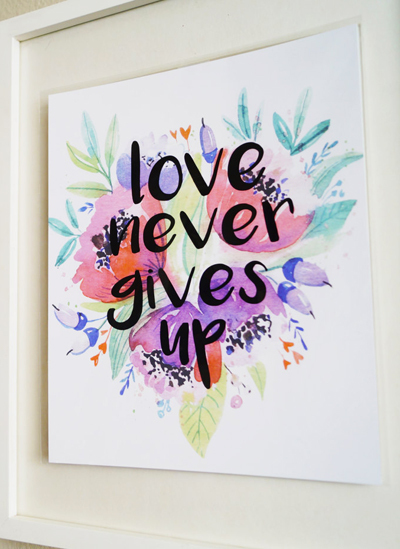 Below : Love never gives up print by Eye Candi on Etsy. 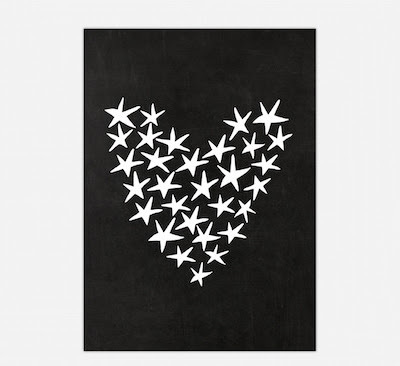 Below : Floss & Co bird heart print at Not on the High Street. 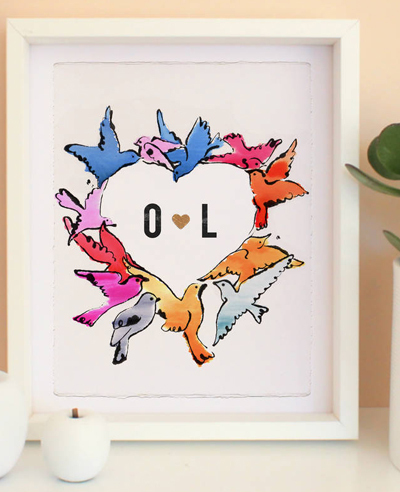 Below : Animal heart print by Amber Elise at Not on the High Street..
zzzzzzzzzzzzzzzzzzzzzzzBelow : Kraft card with neon envelope by Katie Leamon. 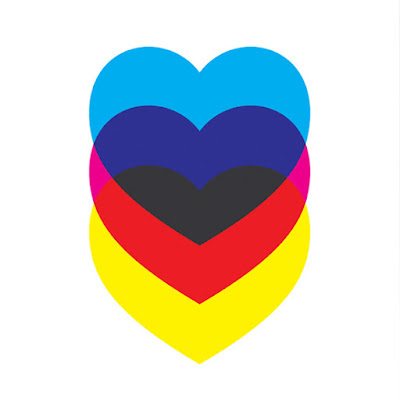 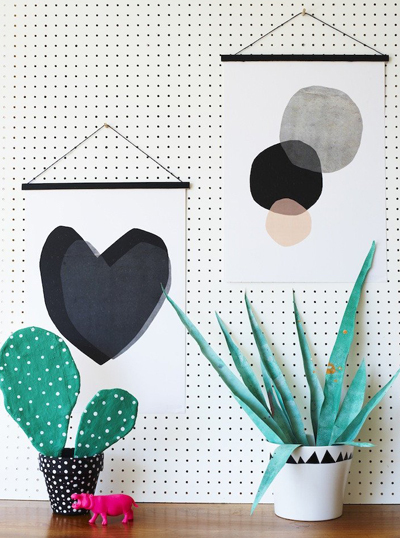 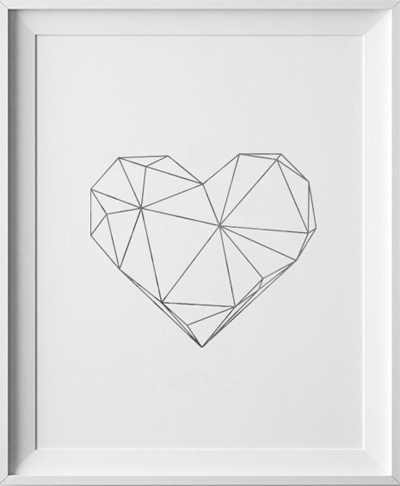 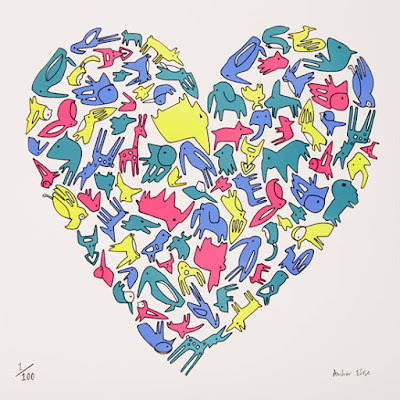 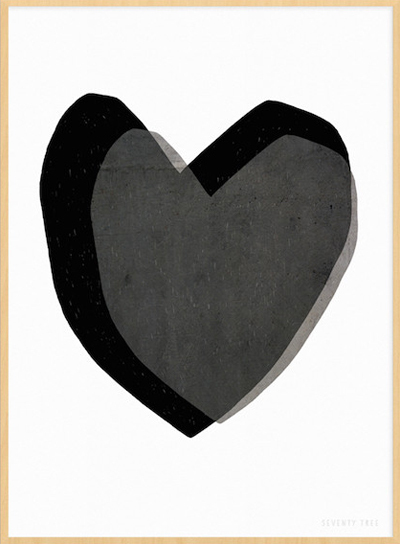 Below : Heart prints by Seventy Tree. 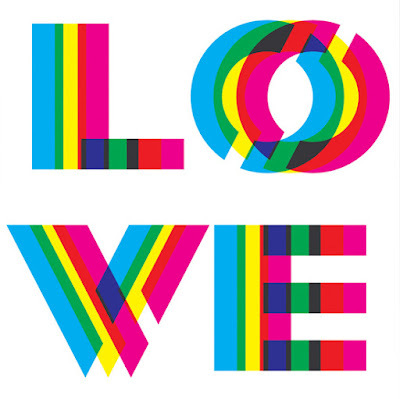 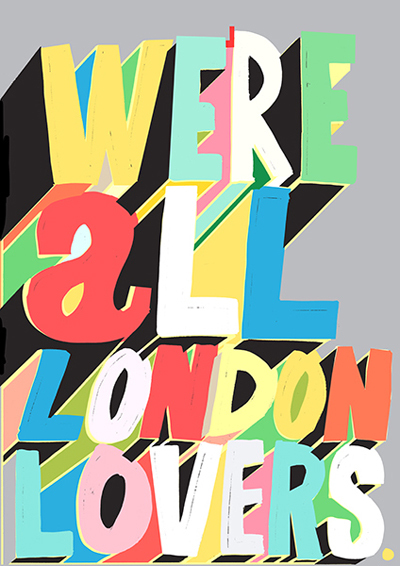 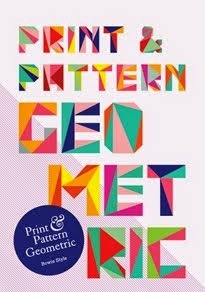 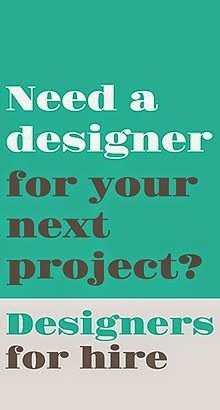 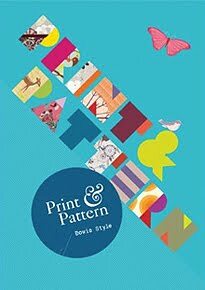 Below : Typographic art works from East End Prints. 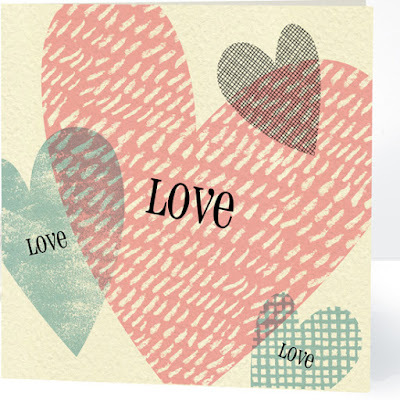 Below : Cards from the Valentine's collection at Pennychoo. 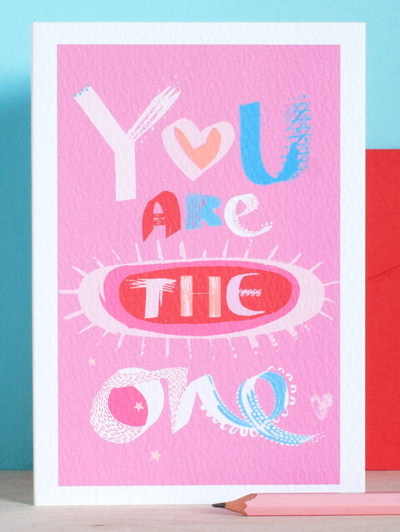 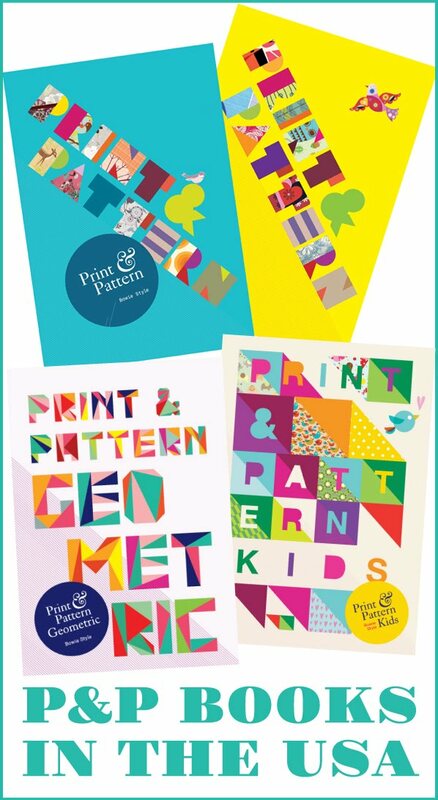 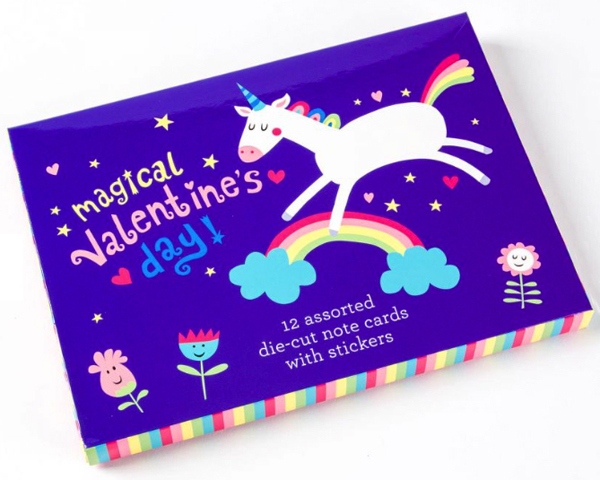 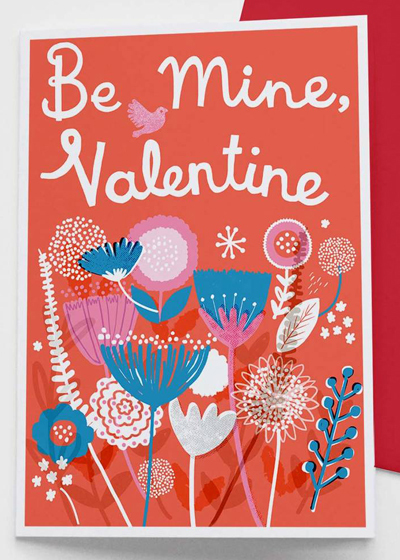 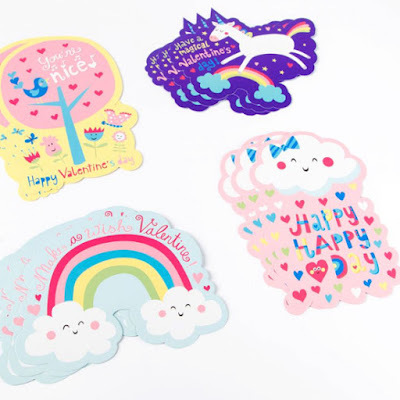 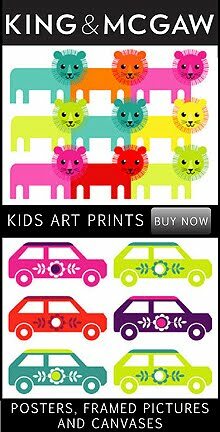 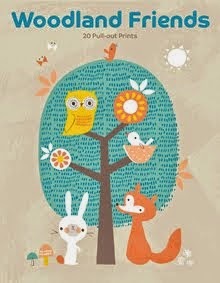 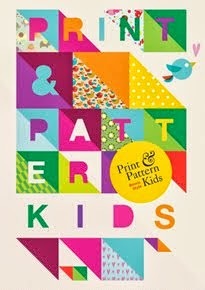 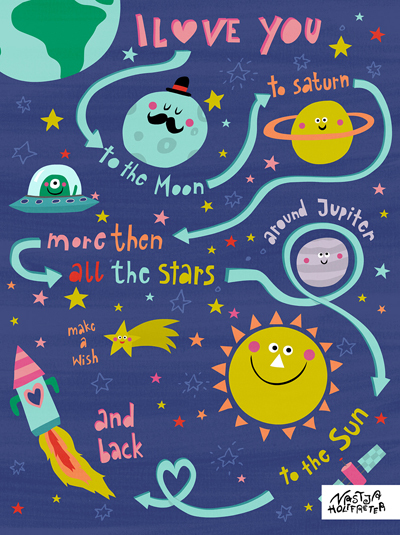 Below : Children's Valentine card designs by Nastja Holtfreter for Papyrus. 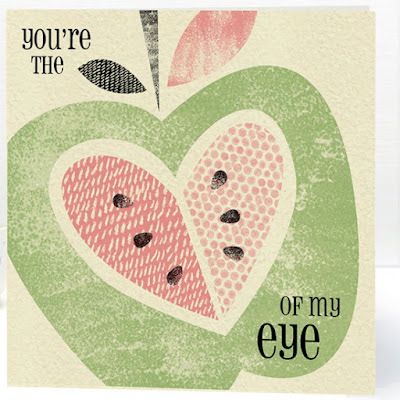 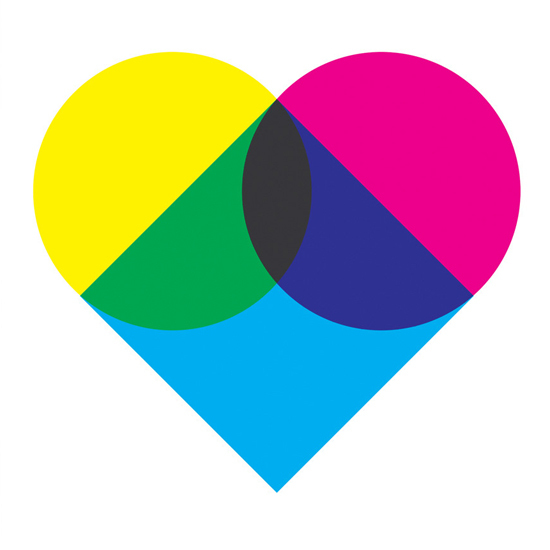 And below an example of Nastja's current Valentine portfolio available for licensing. 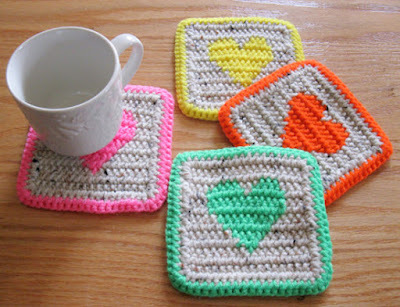 You are most welcome Gabriella - I love everything at Moobaacluck - it's brilliant!